Today is the Queen’s Birthday – she was born on 21 April 1926. To celebrate lets go back nearly 67 years to a time before she was on the throne, before she was even married. The royal family had emerged from the War with its popularity renewed. Only ten years earlier the abdication of Edward VIII had left it in crisis but the solidarity of King George VI and Queen Elizabeth with their people during the Blitz had turned this on its head. 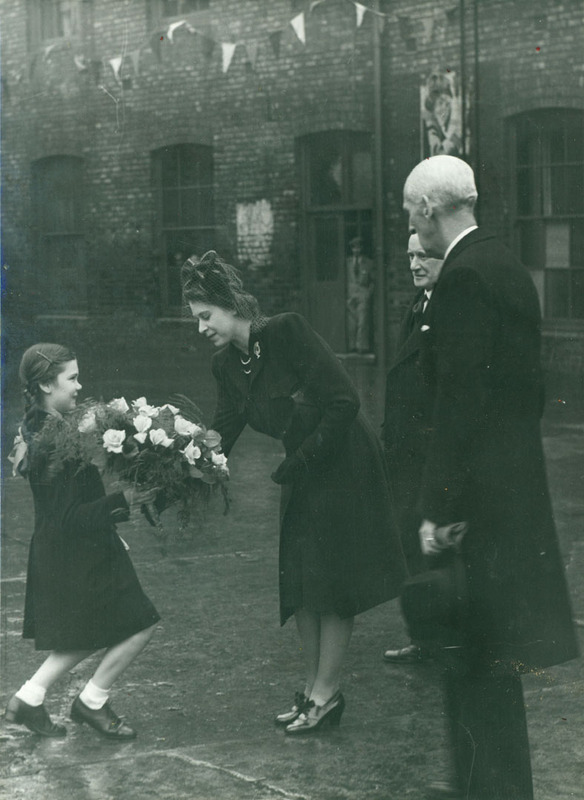 Princess Elizabeth herself was admired for serving as an ambulance driver and mechanic during the War. 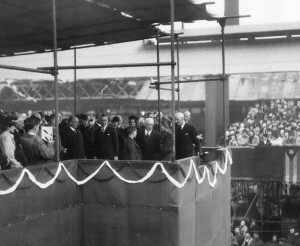 With all the Post-War gloom a royal visit was a real boost to people’s spirits. 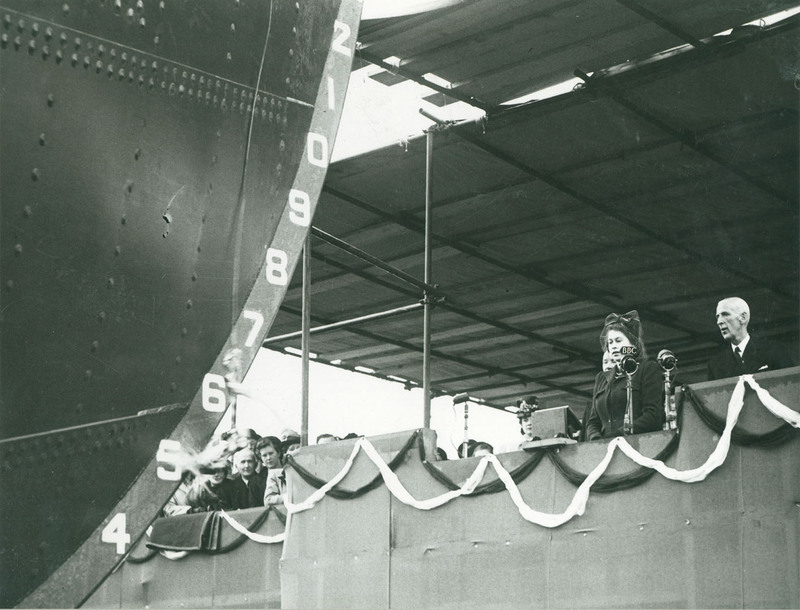 On 30 April 1946 Princess Elizabeth visited the shipyard of Sir James Laing & Sons Ltd to launch the oil tanker ‘British Princess’. 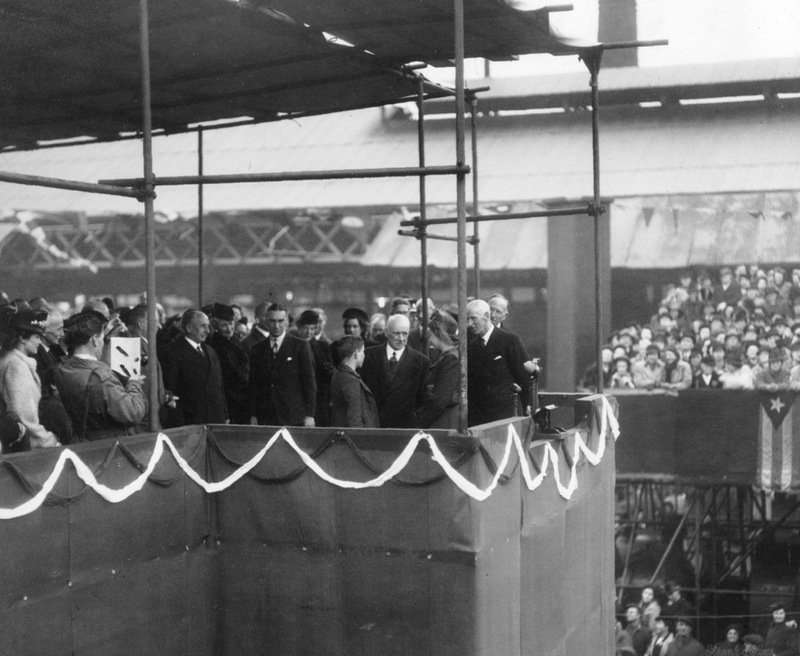 The Archives holds a fantastic photograph album commemorating the event (TWAM ref. DS.LG/4/PH/4/1). 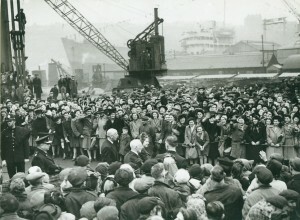 Upon arrival at the shipyard the royal party were greeted by W.B. 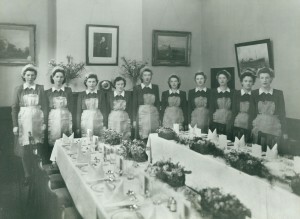 Marr, Chairman of Sir James Laing & Sons Ltd. Members of the launch party were presented to the Princess and the royal party was then served lunch in the dining room by the works canteen staff. The Sunderland Echo and Shipping Gazette for 30 April states that “Cooking of the lunch was supervised by Miss G. Willis, canteen manageress, and the menu consisted of tomato soup, roast spring chicken, bread sauce, green peas, new potatoes and bacon rolls, followed by strawberry sponge and cheese, biscuits and coffee”. The menu is fairly plain reflecting perhaps the rationing of the time. After lunch Miss Jennifer Marr, eldest daughter of Alan J. Marr, managing director of the firm, presented the Princess with a bouquet of pink roses. The Princess then made her way to the launch platform, where the Royal Corps of Signals band played the National Anthem. Speaking as she launched the ship Princess Elizabeth said “I name this vessel the British Princess. May God Bless her and those who sail in her”. The vessel left the stocks and slid down the slipway. 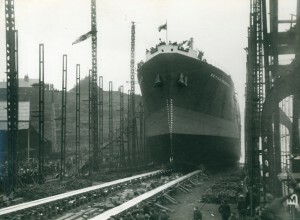 The Sunderland Echo and Shipping Gazette reported that ‘Workmen threw their hats into the air as she entered the Wear. The sirens and buzzers of ships in the river sounded in a triumphant chorus”. 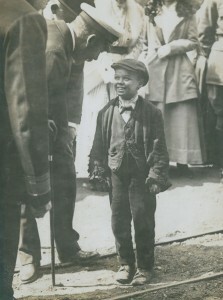 After the launch the Queen was introduced to the firm’s youngest apprentice, 14 year old, Jimmy Mackel, who was learning his trade as a plater. If Jimmy is still alive it would be lovely to have his reminiscences about the occasion. It would also be great to hear from anybody else who was there for the launch. Jimmy Mackel’s presentation to Princess Elizabeth provides an interesting parallel with a visit to the Laings yard in 1917 by her grandfather, King George V. On that occasion he famously met a young apprentice. The royal party then made its way through the enthusiastic crowd of 6,000 onlookers to the shipyard’s Reception Room. 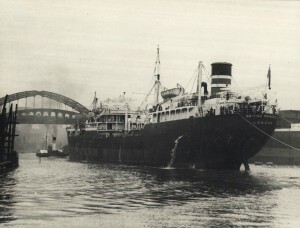 The ‘British Princess’ was built for the British Tanker Company Ltd and at the reception, Sir William Fraser, Chairman of the Anglo-Iranian Oil Company Ltd replied to a toast by W.B. Marr. “We of the Anglo-Iranian Oil Company take a great pride in the fleet of our British Tanker Company; it is one of the largest fleets flying the Red Ensign. The shipbuilders of Sunderland have a proud record, and the ‘British Princess’ is in every way a true representative of that splendid tradition”. W.B. 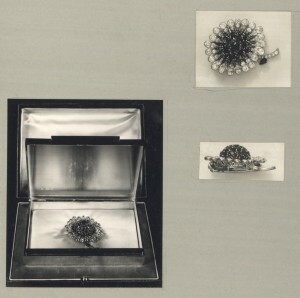 Marr presented Princess Elizabeth with a flower brooch and she then gave a stirring reply to the toasts. 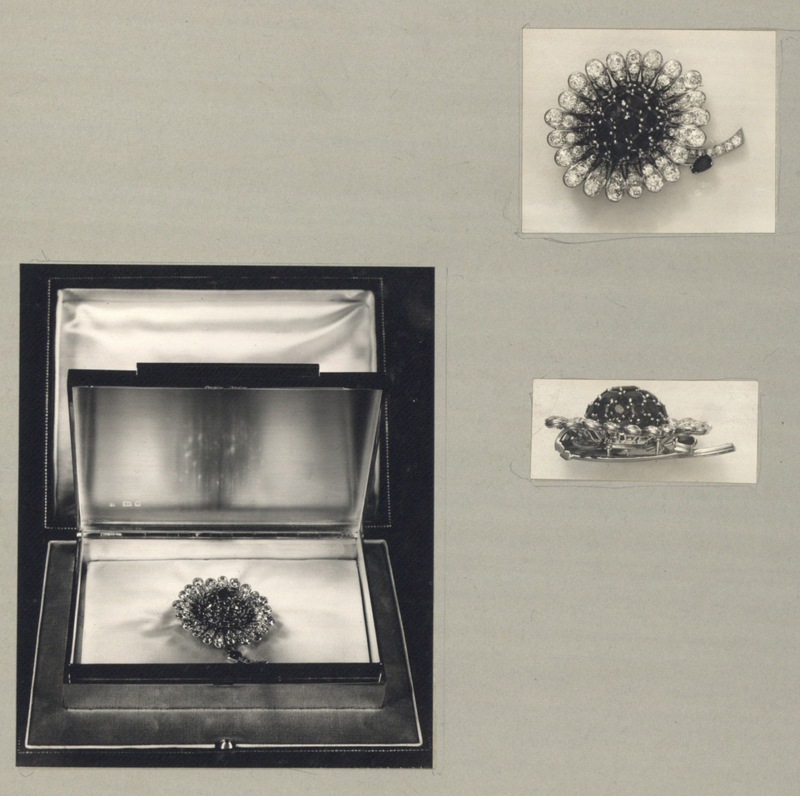 This is one of the great values of Archives – they provide a window into the past, keeping alive memories and past glories. The Sunderland shipyards may be gone but they are certainly not forgotten. They serve as an inspiration to future generations. Truly inspirational as you say. Old photo and archives must be preserved after all you are preserving an important part of history to continue on the memory for the next generation. Thanks for your comment – really glad you liked the images. 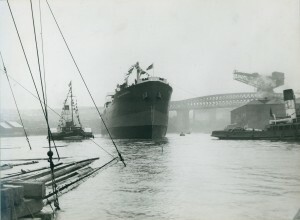 If you haven’t already seen them, Tyne & Wear Archives & Museums has a lot of great photographs on flickr http://www.flickr.com/photos/twm_news/sets/. I hope you enjoy those too. Wow what a great set of photos there, so many and so many historic captures! So details too! Love the details ones, they are like chocolate boxes, the more you look the more your find.